Something a little bit quirky for an owl lover! 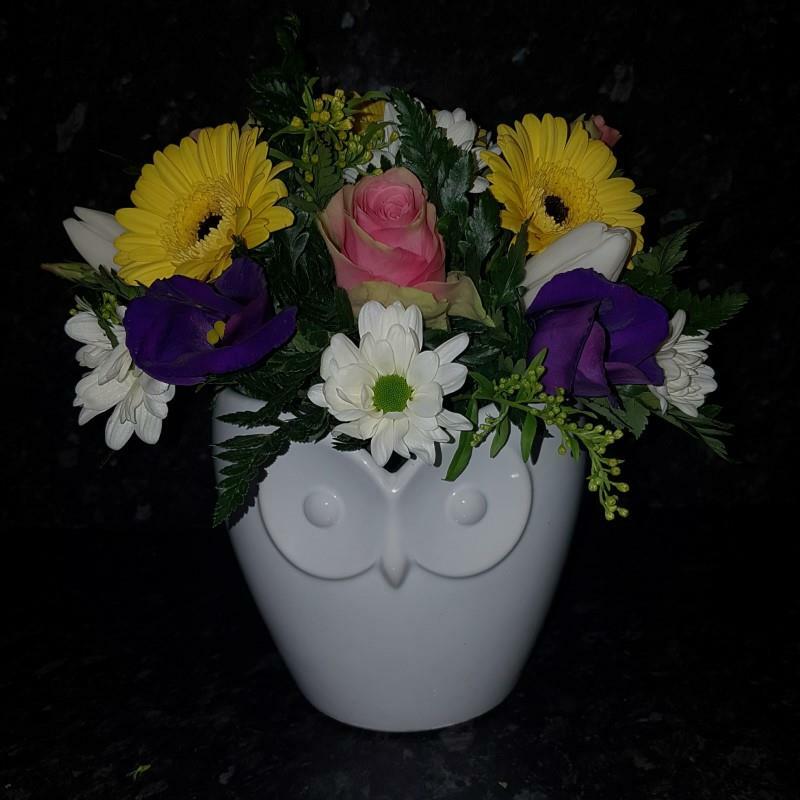 A ceramic owl container filled with fresh flowers in the colour of your choice. Container can also be used as a stylish planter. We offer our flower arrangements in a range of sizes, so choose the price that suits the occasion and we'll put an appropriate arrangement together for you.